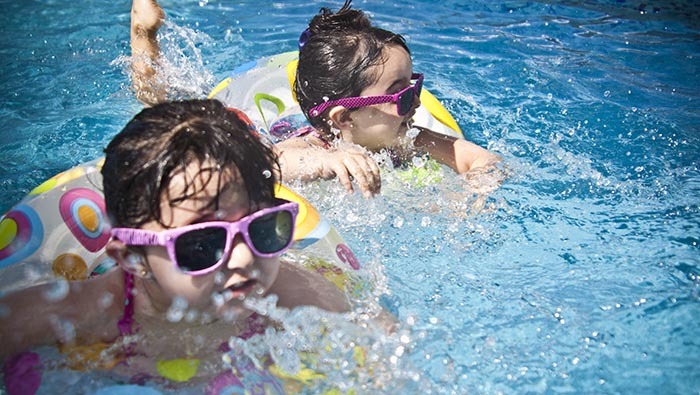 It’s that time of year again… the summer holidays. Yes, the roads are quieter, but you’ve got to find things to do, places to go and new ways to entertain the kids. Well, we’re offering a helping hand with this handy guide of fun and kid-friendly things to do in Arundel. At the Norfolk Arms, we love the Arundel Lido. So much so that we’ve even put a summer package together to combine a stay with us and a trip to the Lido. Well, what’s not to like? Outdoor swimming, sunbathing, activities, food, drink. It’s a great family day out, weather permitting, of course. Visit the Arundel Lido website for more information on prices, opening times and activities. Another one of our favourites, and quite frankly, this is great whether you’re entertaining the kids or not. 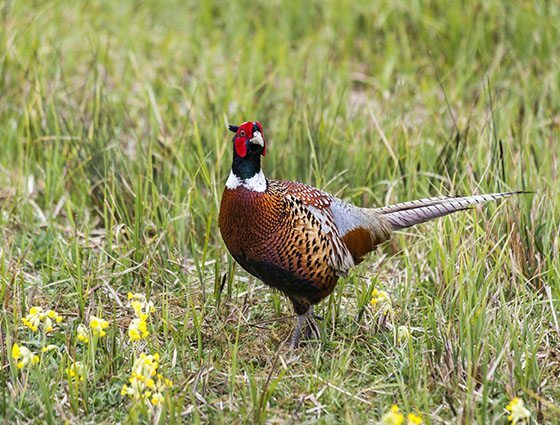 Take advantage of our Wetland Package or visit the Arundel Wetland Centre website for so much more information, along with prices and opening times. It’s not listed as top of TripAdvisor’s things to do in Arundel for no reason. And don’t forget, it’s actually called Arundel Castle and Gardens, so while you can tour the historic castle buildings, see the fascinating furniture, tapestries and rare collection of paintings, you can also take a leisurely stroll through the stunning grounds and gardens, and they are truly beautiful. They do a good job of keeping the kids entertained if they’re not particularly into history. From theme days to family fun days, it’s definitely the place to see in Arundel. For more information, visit the Arundel Castle website. 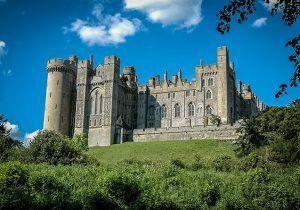 If you’re looking for a slightly different way to explore Arundel, check out this fantastic idea from Treasure Trails. This self-guided murder mystery tour starts at the museum and takes you on a journey round the town finding sneaky clues and seeing all the sights on the way. All you need to do is visit the Treasure Trails website and buy the book – either download it or get it sent in the post and the adventure begins. For all information and to purchase a Mystery Treasure Trail book, click here. Located just down the road in Littlehampton, Harbour Park is a fantastic day out for all the family. Rollercoasters, bumper cars, water rides and even a family arcade… it has everything you could want from an amusement park. Prices are far more affordable – starting from just £15 – than many of the bigger theme parks, but that doesn’t mean it’s less fun. All the information you need can be found on Harbour Park‘s website. While Arundel doesn’t have any beaches, there’s plenty within just a few miles. And who doesn’t love a day at the beach on a sunny day? Climping Beach is just six miles from Arundel and has a nice café, plenty of parking and beach goods for sale. 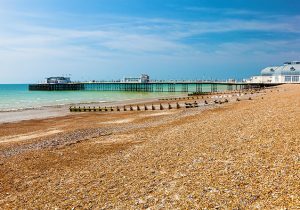 If you’re looking for something grander – Worthing and Bognor Regis are just 10 miles away, and the fantastic Brighton Beach is just over 20 miles from Arundel. Norfolk Gardens in Littlehampton has a lot more than just Mini Golf – including tennis courts, bowls green and 9-hole park 3 golf course – but it’s no doubt the ‘Buccaneer Bay – 9 Hole Adventure Golf Course’ that will take the kids’ fancy. No matter good your golf skills, you’ll have a barrel of laughs with the family as you navigate your golf ball by boats, pirates, lighthouses and the like. And don’t forget to check out the miniature railway on site, which is also great fun. Find out more about all the activities at Norfolk Gardens on their website. Remember, if you’re looking for somewhere to stay to combine all these great attractions, there’s nowhere quite like the Norfolk Arms Hotel. With breakfast included when you book direct, you can fuel up and use us as your base to enjoy a fun-filled family trip to Arundel.